What is the United Way of Central Louisiana? The United Way of Central Louisiana is a nonprofit local partnership that links donors and helping agencies with businesses, government, and other key players in central Louisiana to build a stronger community. It's all of us working together to help children succeed, to strengthen families, and to help those in crisis. This year, our workplace campaign raised over $1,200,000.00 for programs right here in our community. All donations stay here in central Louisiana. They go to fund 20 programs and services at the 13 local partner agencies in our community. The United Way of Central Louisiana is an entirely independent organization, not a "branch" or a "chapter." We don't send donations to other cities or states, and we don't receive funds from other places unless donors from those places direct their gifts here. Less than one percent of our campaign goes as dues to the United Way of America (our trade association), but we receive services in return that would cost much more elsewhere. What is the United Way of America? Who governs the United Way of Central Louisiana? A volunteer Board of Directors, comprised entirely of Central Louisiana residents, governs the United Way of Central Louisiana. Hundreds of volunteers assess community needs and resources, review funded programs, plan and organize the annual fund-raising campaign, and collect contributions. These volunteers are supported by a small professional staff (see the "Staff" page under the "About Us" Page). 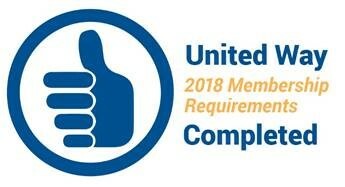 Is the United Way accountable to donors? Yes! Exceptionally so - the United Way of Central Louisiana is one of the most accountable nonprofit organizations you will find. Our volunteer Finance Committee (known as the Organizational Excellence Committee) is composed of financial and management experts from several local companies. They ensure that fiscal controls are in place, and that fiscal decisions are sound. In addition, we are audited by an outside firm every year. We are proud that we have received the highest possible ratings each year for our financial management and reliability. Copies of our audit and IRS Form 990 are available for the asking. We go much further than financial accountability, however. Dozens of volunteers review funded agencies to make sure that donations are used effectively as well as efficiently. We work hard to make every dollar count! What area does the United Way of Central Louisiana serve? UWCL funds services in nine parishes around central Louisiana: Allen (Oakdale), Avoyelles, Catahoula, Concordia, Grant, LaSalle, Rapides, Vernon, and Winn. The combined square mileage of these parishes approaches that of the state of Massachusetts! While our most rural parishes do not always have agencies located within their boundaries, most services are available in most parishes. In the case of shelters, residents may have to travel to Rapides Parish for help. If you would like to see the numbers of people helped in each parish, just contact us and we'll get it to you. Is my contribution to United Way tax deductible? Yes. Your gift is tax deductible if you itemize deductions. A receipt is not necessary unless you pay $250 or more at one time. If you need a receipt, no matter what the amount, contact our office and we will send one to you right away, along with our warmest thanks. No!! Giving is a personal decision, and our United Way has a strong policy against coercion. We think there are many positive reasons to donate, and we discourage employers from forcing their employees to give. What are United Way's overhead costs? About 14 cents on the dollar, though it can vary slightly from year to year. These are our management and general costs plus our costs for fundraising expenses. In other words, 86 cents of every dollar goes to actual services and programs. That's money that wouldn't be available if not for the United Way fundraising drive. I heard that United Way funds abortions. Is that true? No. We never have. In fact, employees of the Catholic Diocese of Alexandria have supported our United Way for many years. In Central Louisiana, we fund the Volunteers of America to run a New Beginnings program that includes an adoption program. It helps young and single mothers-to-be learn how to best cope with their situation.